Think leaflets have had their day? Think again. Print media is as big as ever, and we offer leaflet design that will get your brand into the hands, homes and minds of your target audience. From designing your branding to layout and content, we offer the services you need to get your business, event or cause noticed. Phuse have worked closely with Park View Chalkwell Park since early 2014. 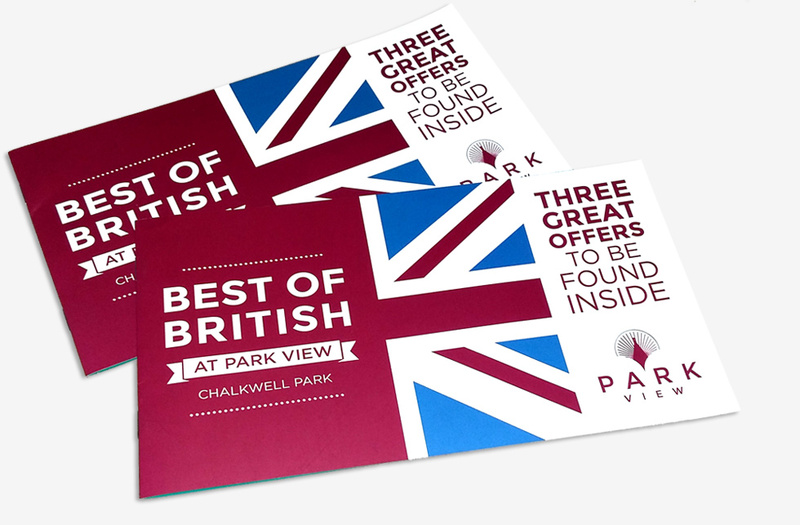 We initially developed a new brand logo and moved on to develop a new website and printed promotional material including this brochure/leaflet to promote Park View’s Best Of British events.